That’s according to Catherine Whitaker, who got into a heated discussion with colleague David Law about the frontrunners for this year’s tournament. Nadal made a positive return to action at the Australian Open after a disappointing end to the 2018 season. The Spaniard reached the final where he was defeated in straight sets by Novak Djokovic. But he surpassed expectations in Melbourne, seeing as he was forced to withdraw from both the Paris Masters and ATP World Tour finals a few months ago. 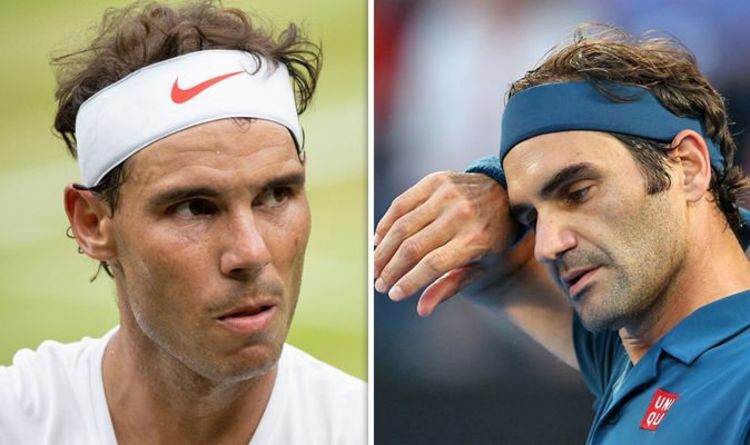 Tennis commentator David Law, thinks he sits level with Roger Federer behind Djokovic in the race for this year’s Wimbledon title. “The absolute favourite for Wimbledon is Novak Djokovic,” Law told the Tennis Podcast. Whitaker then called him out, suggesting she believes Federer should be ahead of Nadal. He replied: “What, Roger Federer’s five-set loss to Kevin Anderson? and Rafael Nadal reaching the semi-finals and losing 10-8 in the fifth? If the latest world rankings are anything to go by then Nadal will be Djokovic’s closest challenger at Wimbledon. Roger Federer has dropped to sixth following his defeat the Stefanos Tsitsipas in the Australian Open quarter-finals.